On November 14th we hosted our first mental health ministry round table discussion for church leaders and volunteers. With your help, it will be the first of many to come in 2019! Going forward, we anticipate monthly or bi-monthly video roundtable discussions on mental health ministry, beginning in early 2019. We will feature interviews with individuals and ministries who have developed mental health support groups, training resources and curriculums. We will also share best practices and strategies to successfully minister to individuals and families with mental health needs. We also encourage you to join one of our online groups. Great information and lessons learned are shared in our discussion groups. These groups serve as an important source of support and encouragement for the challenging and important work that you do. Your work in mental health ministry is making a difference; churches are increasingly seeking ways to support individuals with mental illness and their caregivers. With this increased focus and sharing of ideas, solutions will continue to emerge. My dream is that one day, every person with a mental health need will find a faith community to love and support them. That’s the day my dream will become reality. In order to equip more churches to strengthen their mental health support, we need your financial support! 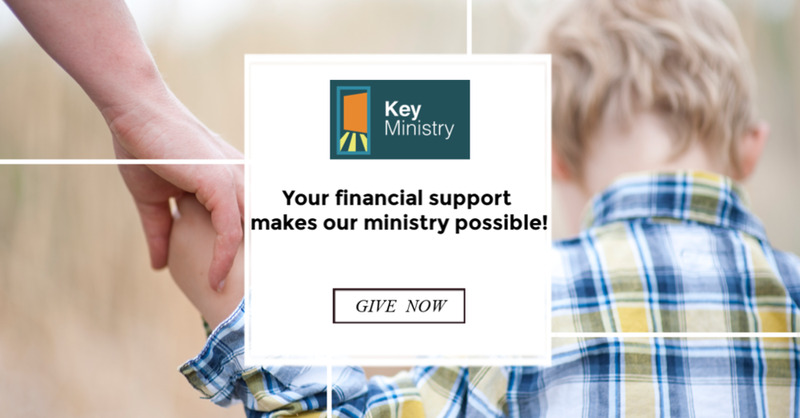 Please consider a one-time or ongoing donation to Key Ministry.